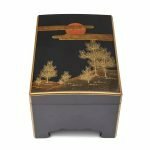 Lacquered wickerwork box with rounded corners and a curved lid. 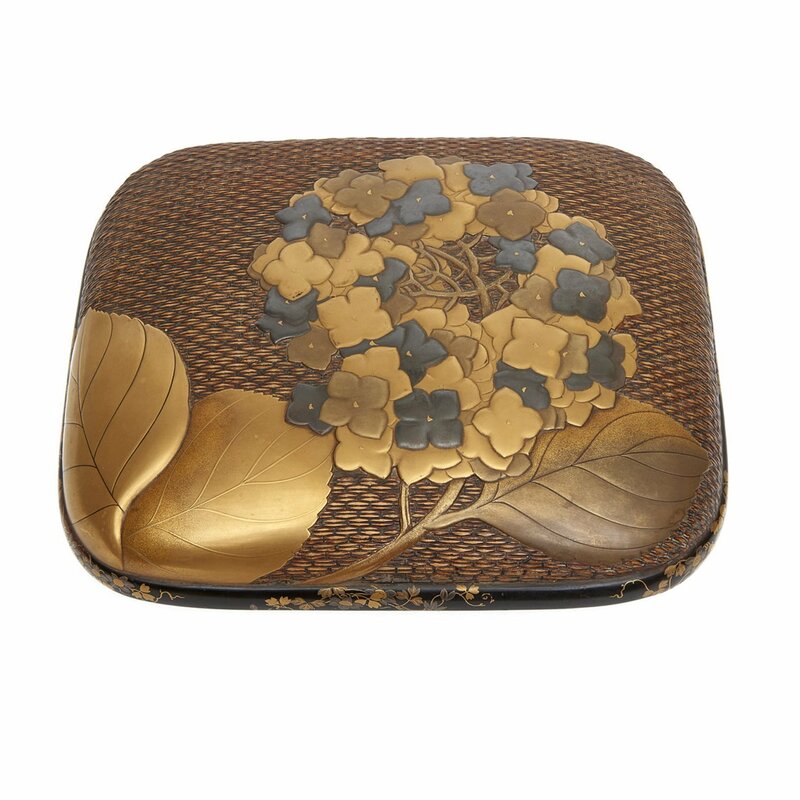 The lid has a design of hydrangea- flowers and leaves (ajisai) in raised gold and silver maki-e lacquer. 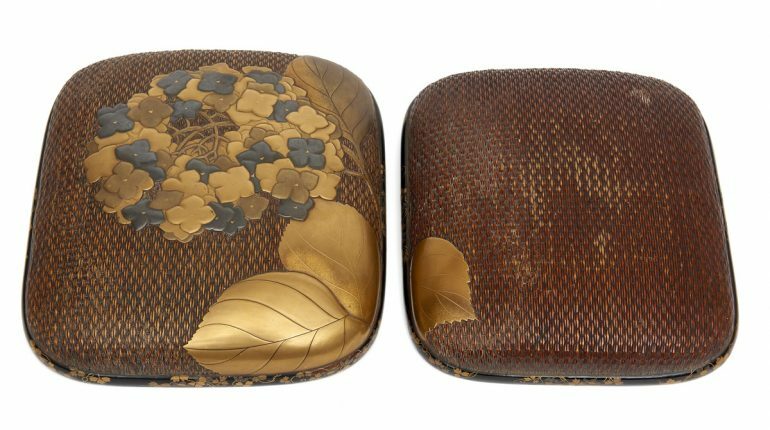 The rim of the box is decorated with a design of clematis (tessen) flowers. Size; H. : 9 cm; 25 x 22 cm.